She had worked for 25 years for this moment to speak boldly about pressing for progress on women's rights. Phearong took the stage to speak to dozens of ambassadors at the European Union Delegation gathered to discuss the topic of human rights. While the exact words she spoke no longer come back to her, the moment after is resoundingly clear. Her boldness was met with a thunderous round of applause and big congratulations from the ambassadors. "You have done a great thing!" one of them exclaimed. 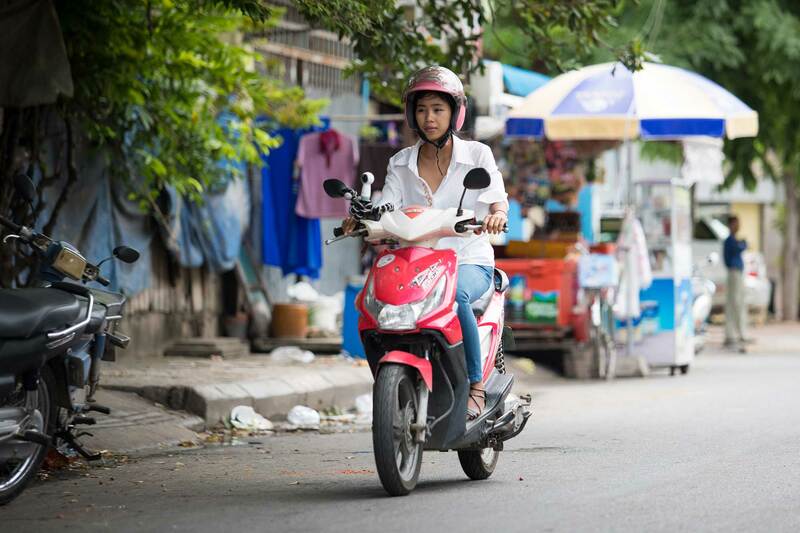 At just 25 years old, Phearong, who grew up on a farm in rural Cambodia, is helping lead the fight for a new, more equal Cambodia for women. As a child, however, her path seemed set in a different direction. In Khmer culture, the youngest is expected to get married, stay with the family and take care of the parents. As the youngest, this was Phearong's fate, but deep in her heart she knew that she was meant to do something more – that women could do more. With no examples of other ways for women to live, it was hard for her to see what this could be without a higher education. She felt trapped and she was, sometimes quite literally. During the rainy season, the nearby lake would flood her farm, and with no bridge to get over the water, there would be days at a time with no way to leave. Still recovering from the grip of the Khmer Rouge regime, which destroyed all schools across the country, Cambodia lacks higher education options across rural areas. 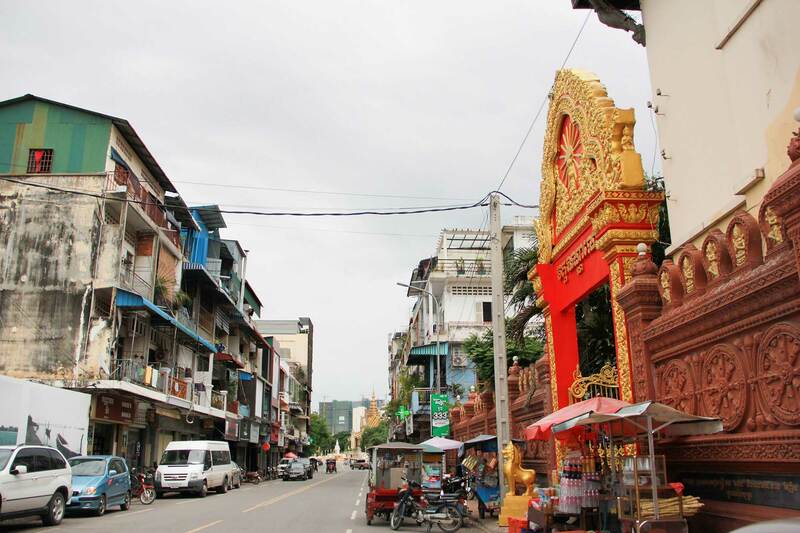 For most, the only shot is moving to Phnom Penh, which is substantially more expensive and out of reach for the poor. This is where Kiva's Field Partner, Wedu, is stepping in to change lives for rural Cambodian women with Kiva lenders' funding. Providing scholarships, mentorships and support, Wedu identifies girls with strong potential to be change-makers, and helps them obtain a higher education. 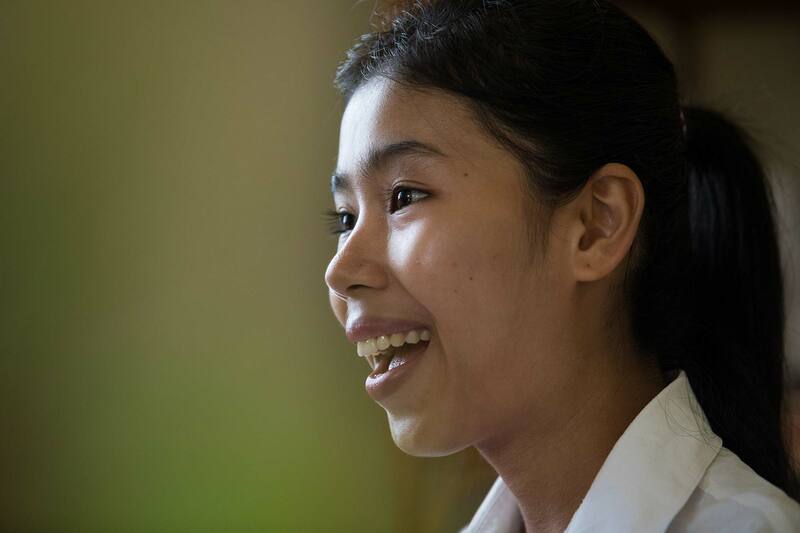 Phearong's drive and vision stood out, and she was offered a spot at a university in Phnom Penh and a scholarship for the tuition. "If I marry him, I will be a woman who carries the food to the farm, feeding him and the other farmers around. But imagine if I get an education. I will see the world better. I will meet new people. I will have new experiences. I can become a teacher and teach other people. Which one would you prefer me to do?" Her parents had seen educated people, but they didn't know that these opportunities existed for their own children, having only seen farmers in their own village. Once Wedu explained to them that Phearong had this opportunity to be like one of the educated people that they had seen, they agreed to let her go. "You have good acumen," they said with a smile. Moving to Phnom Penh was a far bigger challenge than Phearong had anticipated. 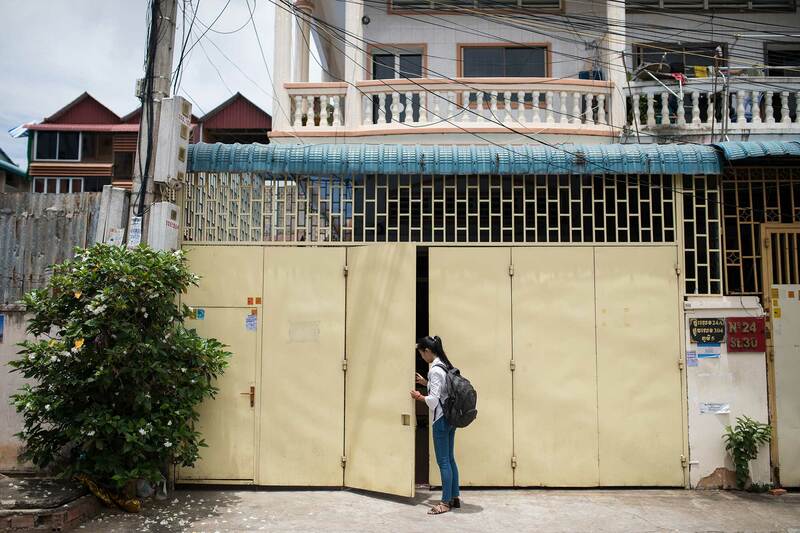 Her parents sold some of their lands to help pay for her living expenses in Phnom Penh, but it still wasn't enough. Unable to afford accomodations in the city, Phearong rode her bicycle to and from school over an hour each way, cutting into her studying time and not allowing her to get an internship to prepare her for a future job. She toyed with giving up university and moving back to the countryside, not knowing how to sustain her new life. "In my family, my parents are not educated. My mom doesn't know how to read or write, and only two of my brothers finished high school," Phearong explained. "I couldn't discuss my problems with my family because they couldn't understand the situation I was going through or exactly how to help me." Phearong's mentor, assigned to her as part of the program, encouraged her to not give up but instead seek additional financial support. After Phearong's mentor informed Wedu of her situation, they agreed to give Phearong a $2,000 0% interest loan funded by Kiva lenders to help her with her daily living expenses, a motorbike and university fees. Upon graduation, if she doesn't have a job, she will not have to pay back for 5 years while she looks for a job. If she does have a job, she will work out an agreement with Wedu about what percentage of her salary she will give to Wedu each month. "When I heard that [Kiva lenders] could support my living expenses, I felt like I was flying! My parents would not have to worry about me anymore. I could stay and focus on the job that I wanted to do." 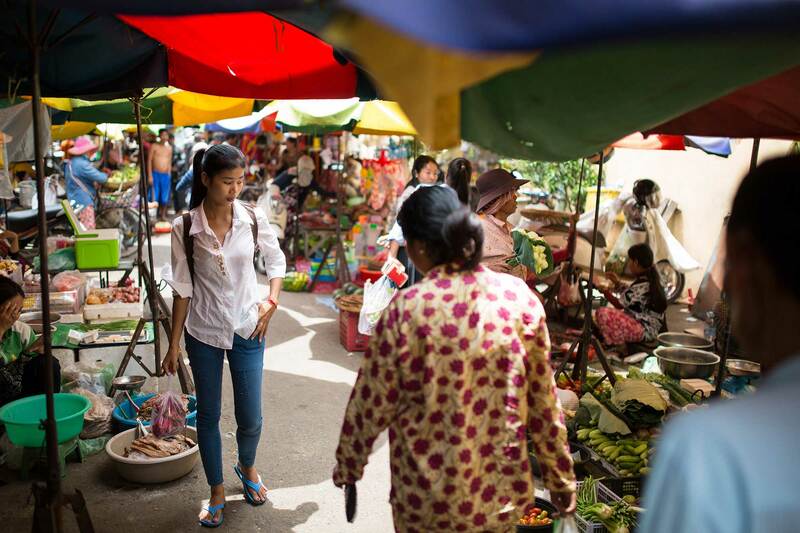 Able to move back into the city with her living expenses covered, Phearong was able to gain relevant experience in her desired job field of advancing women's rights through an organization that works with Cambodian youth. It was this very volunteer opportunity that opened up some huge doors for her: speaking at the European Union Delegation was one of them. "You have done a great thing!" an ambassador told her after giving an impassioned speech on the importance of female representation in the government. Seeing her commitment and potential, Phearong was offered an internship and then a contract with the European Union, where she is a fierce champion for women's rights. "In 10 years, I want to be a young woman who fights for women's rights," Phearong shared with a strong determination in her eyes. "Both men and women can bring great success if they can work together equally. Some men think women are weaker. In politics, men think that women care a lot about the small stuff – kids, house, kitchen – so they would not think properly about big things like developing the country or policies. That keeps women behind." 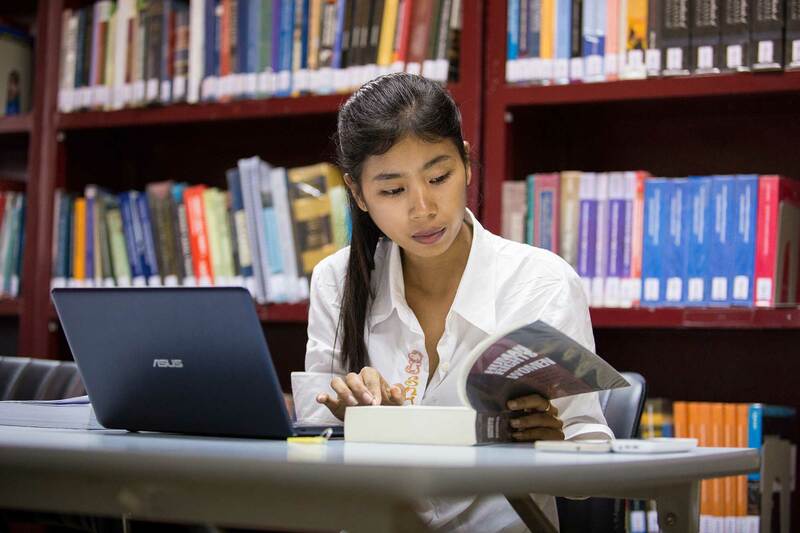 Looking forward, Phearong hopes to encourage other women to think beyond their traditional roles and seek an education "A lot of young women in Cambodia would study just to know the letters so that people cannot cheat her on legal documents. But what I want them to do is study to make a difference for herself and for her family- to find a real job that she wants to do. Once she has a good job, she would not have to rely on her husband or her family. She will be independent so she can achieve more things." Thanks to 46 Kiva lenders who believed in Phearong enough to back her studies, Phearong's future is bright. "Everyone has a dream of what they want to do, what they want to be. I've had my dream since I was young. If I didn't have support, I would not achieve, and I would not be who I am today. I believe that that amount of money would really mean a lot to other people who really need it." And she is already achieving her dream of inspiring the next generation of women. One day, Phearong's grandmother told her that her niece went around chanting "I want to be like Phearong! I want to be like Phearong!" We do too. In celebration of International Women’s Day on March 8, will you join us in rallying to support the dreams of 10,000 women like Phearong? 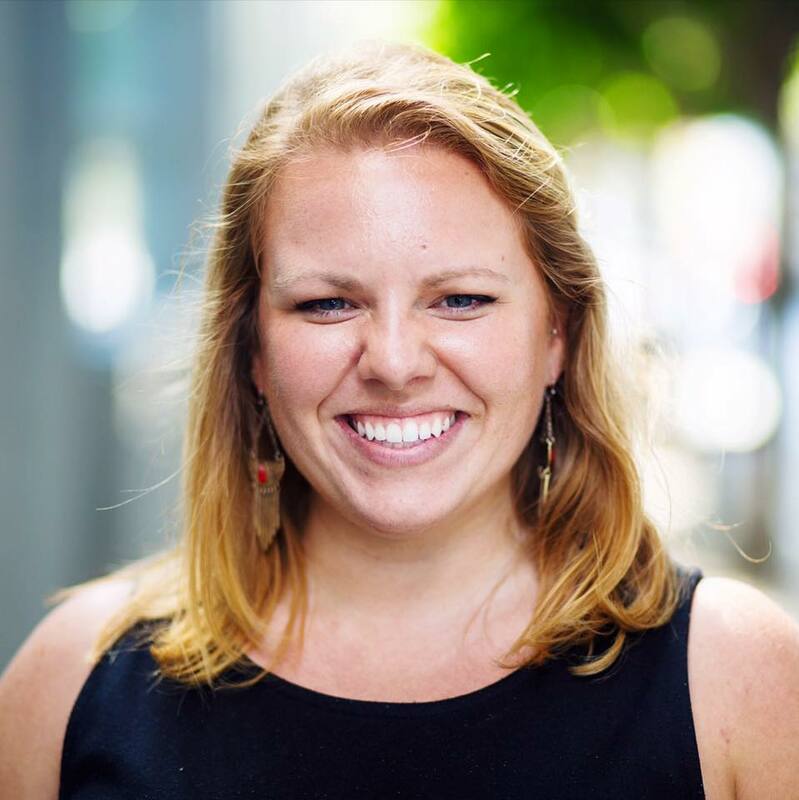 Catherine is a proud Texan who graduated from Vanderbilt University with a degree in Globalization and Development and now works as the Online Marketing Manager at Kiva. One of her very favorite activities is traveling to hear about the lives of Kiva borrowers around the world, but in her spare time, you'll find her hiking, cooking, and trying to find the best coffee shops and Mexican food in San Francisco.